The Huffington Post Media Group(“HPMG“) has announced the acquisition of online engagement platform Localocracy. The platform providers users with the capabilities to solve problems in their communities through online engagement. Moving over from the Localocracy team to Huffington Post Media Group are founders Conor White-Sullivan and Aaron Soules, and technology lead, Jay Boice. The new team will work closely with HuffPost employees to intersect editorial content with technology in order to deepen the sites user engagement levels. Localocracy was founded in Amherst, Massachusetts, in 2009 as an online forum encouraging citizens to engage in local issues, share concerns and opinions, and rank problem-solving ideas. Its goal was to surface problems and employ the power of persuasion to spotlight solutions to issues big and small. At HPMG, founders White-Sullivan and Soules will build on their innovative approach to enhancing local democracy while leveraging HPMG’s powerful online community platform to engage its large and networked audience. Also joining the Group from Localocracy is Jay Boice, who will be instrumental in building new technologies to support enhanced online community interaction. 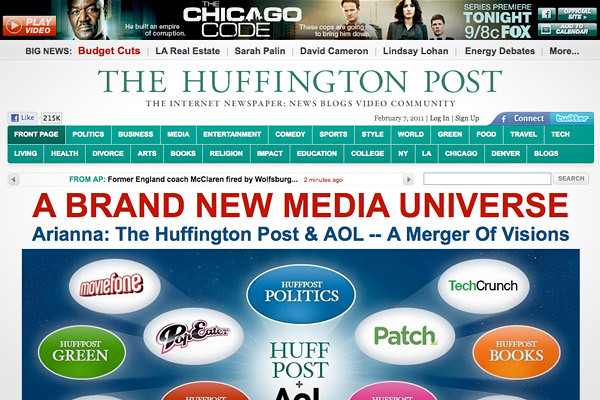 Exactly how the team will help Huffington Post Media Group better their user engagement platform has not yet been revealed.